Norman, Oklahoma is a vibrant college community of over 100,00 people, located approximately 20 miles south of downtown Oklahoma City. While the University of Oklahoma remains the pride of the town, Norman is also home to the National Weather Center and several prominent meteorological businesses. The other major employers in the city include the Norman Regional Health System, Norman Public Schools, Johnson Controls, Griffin Memorial Hospital, Astellas Pharma Technologies, Hitachi Computer Products, AT&T, MSCI, the United States Postal Service National Center for Employee Development, Sysco Corporation and Office Max National Sales Center. There is plenty to do in Norman. 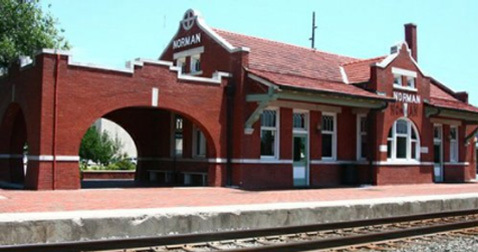 Downtown Norman, a historic arts district, is filled with quaint cafes and shops, galleries, bars, and music venues. It's the perfect place to spend a night on the town! Or explore OU's campus corner, located just across from the University of Oklahoma. Discover several blocks of unique boutique shops, locally-owned restaurants, and bars filled with university students. The university itself offers the Fred Jones Junior Museum of Art and the Sam Noble Museum of Natural History. It's an easy-going, casual lifestyle with lots of goings-on about town at all times of the year. We look forward to welcoming you! Visit these sites to learn more about shopping, dining, and exploring our beautiful city.